. إن الخدمات الممتازة وحسن الضيافة العالي في بورا بورا بيرل بيتش ريزورت آند سبا تجعل إقامتك تجربة لا تنسى. هذه بعض الخدمات الموجودة في هذا الفندق: خدمة الغرف على مدار الساعة, مكتب الاستقبال على مدار الساعة, مرافق مخصصة لذوي الاحتياجات الخاصة, تسجيل وصول/خروج سريع, تخزين الأمتعة. لقد جهزت هذه الإقامة الفندقية بعناية فائقة لتوفر مستوى عالي من الراحة. في بعض الغرف يجد النزيل تلفزيون بشاشة مسطحة, اتصال لاسلكي بالإنترنت, مسبح خاص, حوض الاسترخاء, غرف لغير المدخنين. إن شاطئ خاص, مركز للياقة البدنية, حمام سباحة خارجي, سبا, تدليك هو المكان الأمثل في الفندق للاسترخاء وتفريغ طاقتك بعد نهار طويل. إن بورا بورا بيرل بيتش ريزورت آند سبا هو خيار ذكي بالنسبة للمسافرين إلى جزيرة بورا بورا، بما يوفره من إقامة هادئة ومرحة. للوصول إلى العقار، يجب إجراء ترتيبات إلزامية للانتقال بالقارب مقابل 3,750 فرنكًا فرنسيًا للفرد. يجب دفع الرسوم في العقار مباشرةً. يرجى إبلاغ العقار بتفاصيل وصولك بعد إتمامك لعملية الحجز. We had a really nice time in Bora Bora Pearl Beach Resort for our honeymoon. We spent 3 nights in garden room and 2 nights in OWB, both of those rooms are clean and tidy and we like both of those rooms. Our favourite part about the resort is the snorkelling. You can pretty much snorkel around the resort and there are so many fish! There are also free kayaks, canoe, SUP etc for hire so we did not get bored during our times there at all. We enjoyed the breakfast buffet in the morning, there are a good variety of food to choose from. There are 3 restaurants in the resort and those are pretty much all the choices you get during the stay because the resort is on a private island. The food there are quite nice, a little bit on the pricey side (~35NZD on average for mains) but it's similar price elsewhere in Tahiti. Overall we've enjoyed our stay. We thoroughly enjoyed our 3 nights at the Bora Bora Pearl Resort. The location is spectacular. Loved the overwater bungalow accommodations., the beach, water sports. The gym was excellent - spa looked great but we didn’t book any services. Staff was great, friendly, courteous and always helpful. A couple areas that could use improvement were the food/dining and the pool area. Pool area could use an update. Had a couple less than satisfactory meals at the poolside restaurant and the main restaurant. Expensive and poor quality. Breakfast buffet included in the room rate was very good though. Overall enjoyed our stay very much but thought these two areas could be improved upon. Hotel is at great private island and beach, clean and spacious room. Hotel has free shuttle between hotel and main island, and paid van service to vaitape town and matira beach, the airport shuttle is overpriced, if you are on budget you can save by using hotel shuttle to main island instead of using hotel Airport transfer. There’s a lot of free activities at hotel (paddle board, kayak, canoe) hotel can also arrange the excursions at additional charge. If you are a drone pilot, check with hotel again before book, they are not allow drone to be flown in their property. Overall it has the best price you can have for over water bungalow on the private island and crystal clear water. Best accommodation in Bora Bora ever! Look no further when staying in Bora Bora - it is not located near other resorts so you won't feel like you are in resort town. There's a reason why most Bora Bora photos are taken from this resort - postcard and instagram pretty. Had an OWB - best experience ever. Will come back. 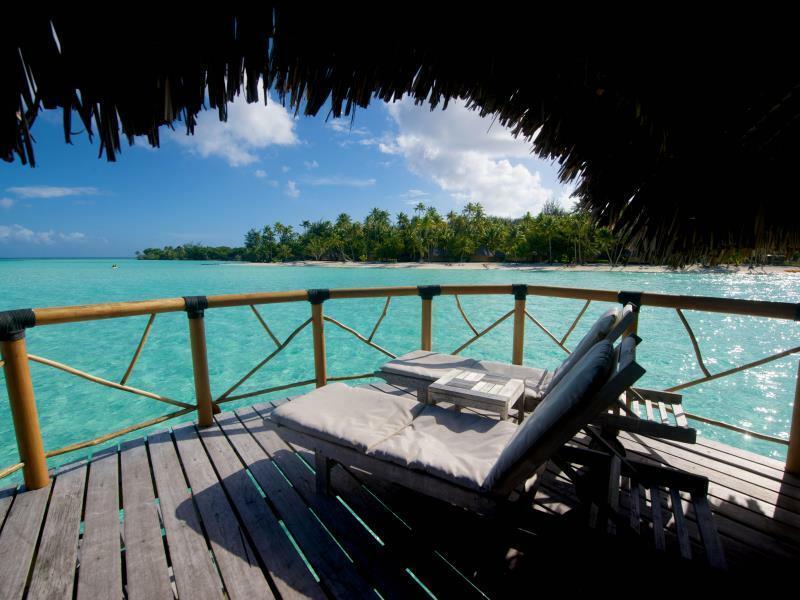 Stayed at Borra Bora Pearl for 4 nights in January. Was a little wary of the mixed reviews prior to arrival but found all negative views unfounded. The resort is tastefully designed and has fantastic atmosphere. Service is top notch and the location suited us perfectly. We stayed on the water while the kids had a beach bungalow. The breakfast buffee was great and the lunch in Mika Mika Restaurant perfectly fine (suggestion: go for the Mahi Mahi Sandwich). The food was what one could expect at such a remote location. It was ok but no gourmet experience but we didn't come here for that but rather the amazing views and atmosphere. Would highly recommend this resort for anyone who wants to enjoy Bora Bora and at the same time keep expenses reasonable compared to the mega exorbitantly priced resorts (Four Seasons et. al.). Ventured to the main island twice for dinner: Bora Bora Yacht club we could have done without. Bloody Mary's was worth the visit. 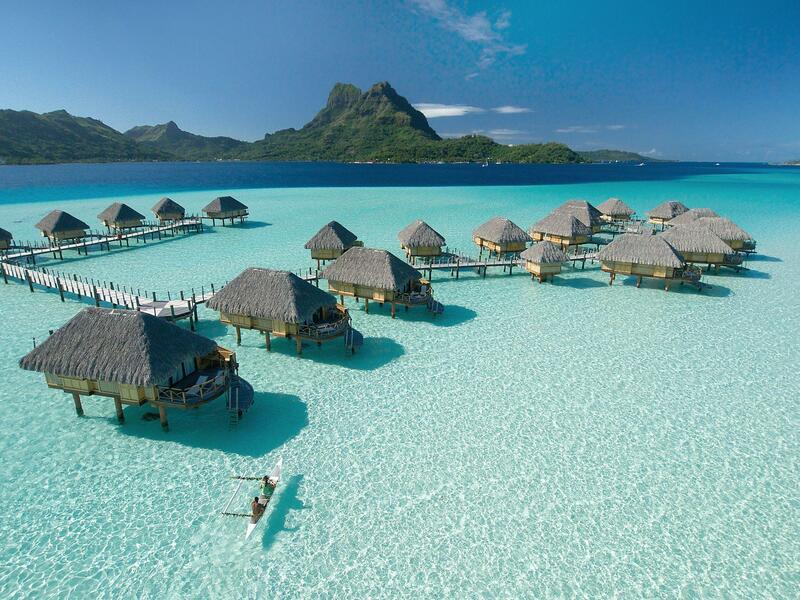 Thumbs up for Bora Bora Pearl Resort! I’ve stayed in this hotel 3 years ago and it was an exellent experience overall to make us return. This time we found that the staff had less motivation and service mind. some of them even cannot communicate in appropriate English or French (i can speak both) , especially when she was the only concierge. So, every of our booked activities seemed to be confused and messed up. At the departure date, we returned from breakfast to find out that a bell boy cane into our room without permission and already picked up unfinished packing luggages, which we had to stopped him by front of our room’s door. This is the time that i have doubt if I should return or not, when hotel’s staff just didn’t give a warm welcomed ambiance. One of a lifetime experience and highly recommended. Pearl Beach Resort was just what we needed to enjoy Bora Bora. The people and staff were absolutely brilliant, the facilities were fantastic, the food scrumptious, the overall setup was just the perfect mix of modern amenities yet remote island-ish. 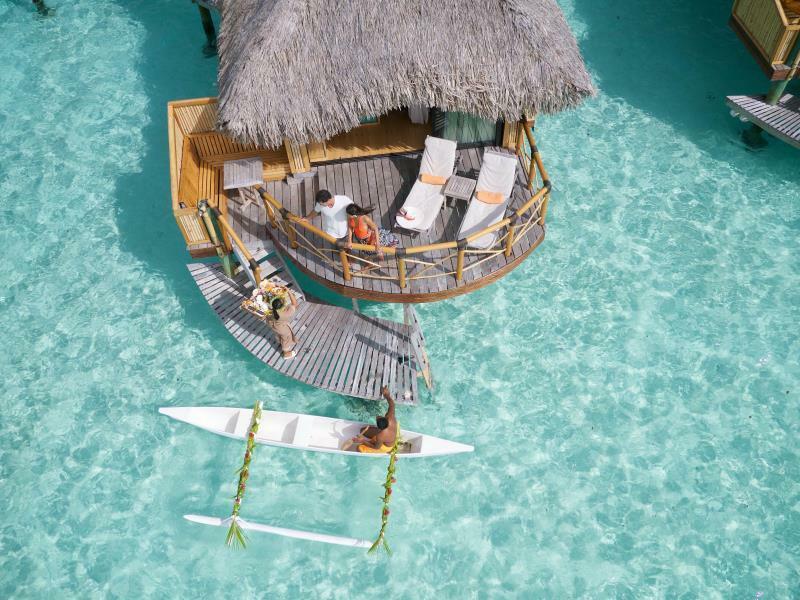 Right from the welcome, to the final checkout, everything that the resort provided was exactly what one would want on a couple getaway in Bora Bora. Their Ow bungalows open into an absolutely amazing lagoon, just right for swimming or chilling around, they have their own coral garden with some pretty good fishes, and the resort is quite beautifully made for some nice photography. They have enough staff at all times, and the overall maintenance and management of the resort made us so happy that we chose them. The only thing we had complain is the mosquitoes - but then again, thats Bora Bora+rains for you :) We will come back! Beautiful overwater bungalows, friendly staff. Room layout was perfect and bed was very comfortable. Ice machines available. Tried dinner at their main restaurant and room service, both were good. Snorkeling equipment, kayaks, SUPs provided. Only downsides were extremely poor Wi-Fi (which seems to be the case for many resorts in French Polynesia per other travellers), mosquitoes around the resort and restaurant (we expected it, just annoying, though not a problem in our overwater bungalow). Also no microwave and not a real fridge provided--it was more of an "electric cooler" which was pretty small and not recommended for food storage. But overall the beauty of Bora Bora was hard to beat and we enjoyed our stay. 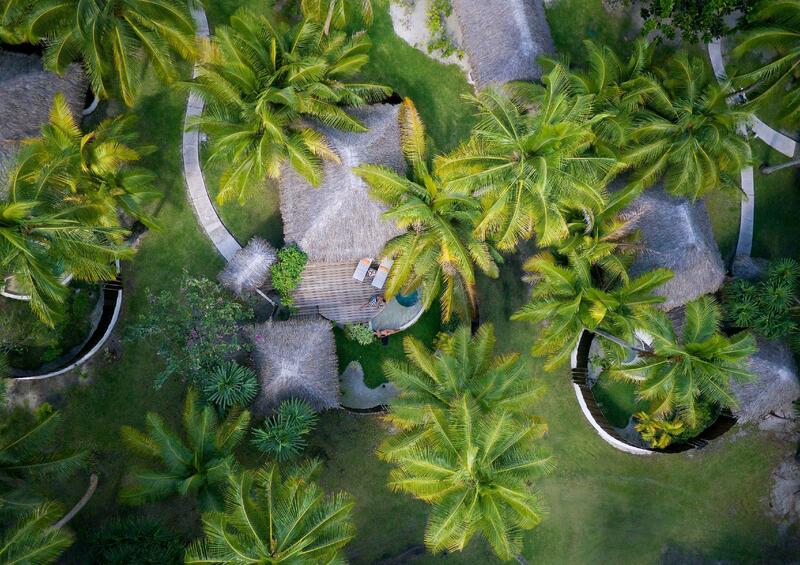 We came here after our stay at the Four Seasons, and whilst there was a big difference in the overall level of quality, Pearl Beach offers a much simpler and authentic charm to the Bora Bora experience. The garden bungalows are the hidden speciality as you have a garden pool and area to lounge in, as we weren't too impressed with the small overwater bungalows after staying at the larger Four Seasons overwater bungalows. Service is less polished and attentive, but felt more real and friendly. For the money you pay for, this is extremely good value. Beautiful grounds. Friendliest staff ever. We found the front desk very helpful. Swimming and seeing Fish under your own room is amazing. Bora Bora is exceptionally beautiful with crystal clear water and amazing views. This hotel has passed its best. Loved the location of the overwater bungalow but it was extremely noisy in the wind as the timber shutters didn't close well (no glass on windows just insect screens). The meals were extremely expensive and really not very good. The spa however was excellent. Loved snorkeling around the coral garden. .
Great privacy in the garden bungalow because no outsiders will see you once you enter the vicinity. Take a bug spray with you. The resort was supposed to be 5 stars but we were disappointed. Firstly we were asked to sign an idemity form to protect the resort against complaints of insects, starfish, robbery etc. it gets the feeling tt the resort is so unsafe. Secondly, staff were not polite or well trained as I would expect them to be. Our food orders were mixed up on 2 separate occasions and billing upon check out was problematic too. The beach was not too clean as I was bitten by sand flies. For the amount of money you pay, go to another resort. They would hv similar facilities but better service. Greeted at the airport with a handmade flower lei and Boat pick up from the airport was only 10 minutes. Open air check in was very organized and fast. Rooms are spectacular. We had a garden room with a dipping pool and enclosed garden area with outdoor shower. AC worked great. Water brought with bed turndown every night. Pool was clean and food was great. Snorkeling in the man made reef was fun too. Paddle boards and kayaks were available but we did not use. Shuttled over to main town was ok. Glad that was offered as an excursion. 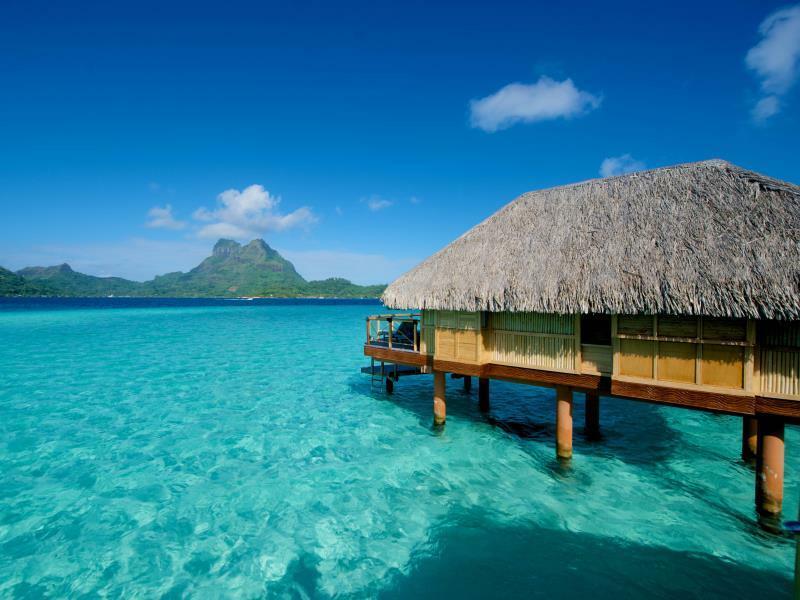 The overwater bungalows looked great but not sure if worth the added expense. There is a nice spa but we did not use their services. Great place overall. The end of room is nearly perfect. Nothing blocked my eyes to enjoy the mount view. The night, shooting star with Champagne is the best experience. pro:nice beach, view and bungalow. cons: we paid for transfer from airport to hotel, the staff who were supposed to pick us up were late by 25mns...we were left alone at the airport. other ppl staying at diff resorts were picked up on time!!! very disappointed. service at the restaurant very slow and the food not that fresh. found out that 1 of the bread served was not fresh.. The beautiful views, the ability to relax or go on an adventure. Wonderful resort with amazing staff. Definitely be back!